From the addition of a few cupboards to a complete refurbishment project, we can handle all different types of residential kitchen renovation work. In addition to building high quality cabinets and worktops, we can lay new floors, handle rewiring and the installation of new gas lines too. 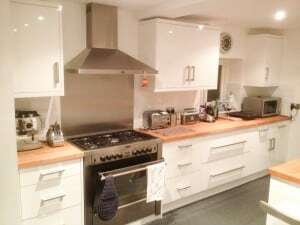 We are renowned for the high quality of our workmanship on kitchen projects. We are always happy to supply references from previously satisfied customers if required. If you have been dreaming of a new bathroom for years, now could be the perfect time to realise your dreams by hiring our crack installation team to transform the smallest room in your home into something really special. 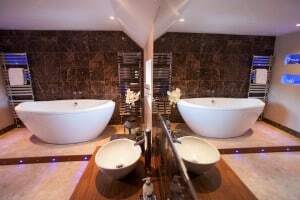 We have completed many bathroom refurb projects over the years and are familiar with both traditional and contemporary trends in bathroom décor today. Your morning ablutions will never be the same once we have worked our magic in your bathroom. Whether you fancy turning your loft, garage or another outbuilding into extra living space, our team can help. In addition to carrying out numerous such conversions in the past, we have also converted whole houses, with great success. Our experience in this field enables us to complete challenging conversions on time and within budget. There are many factors to consider when undertaking large conversions, which is why you should hire a team of experienced builders in Hastings like us to take care of everything. Our skilled carpentry team can handle custom cabinetry and all other types of joinery work with ease. In addition to their skill with indoor projects, every member of the team is also more than capable of handling outdoor decking jobs both small and large. In short, whatever your woodworking needs, Allison Developments can meet them. We believe that we are fairly unique in this respect as many building firms subcontract such work out to third parties.